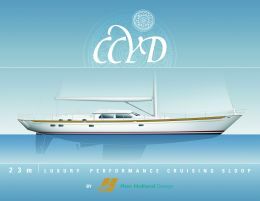 The CCYD Group is an important player in the yachting sector, specialised in custom craft and involving three shipyards, each of them particularly specialised in specific segments. 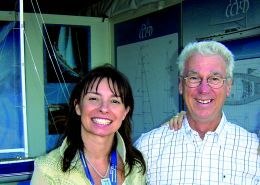 These three are: CCYD, originally set up in Venice, with production premises that are still Italian but with operational headquarters in Miami, a yard specialising in exclusive sail and motor superyachts; Trintella Yachts, a Dutch yard with more than 50 years' experience in sailboats, mainly cruising vessels, between 42 and 80 feet; and ML Boatworks, well known for its particularly technological racing yachts, notably Brasil 1 whose performances were much talked about on the occasion of the Volvo Ocean Race, with Torben Grael at the helm. For further information about projects under way at the Group's shipyards contact: CCYD, 1717 North Bayshore Drive, Suite 3545, Miami FL 33132; tel. 305 374 4393; email ccyd@ccyd.net; website www.ccyd.net. 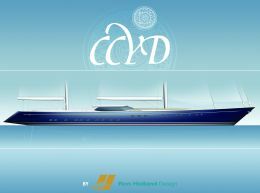 Today the CCYD Group offers the market an extremely comprehensive range of boats in composite, steel and/or aluminium, from cabin sailboats to the biggest superyachts both sail and motor. But the strength of the union between the three concerns lies in the fact that each maintains its distinct personality and continues to operate, as always, by concentrating on the type of product it has been developing to date. 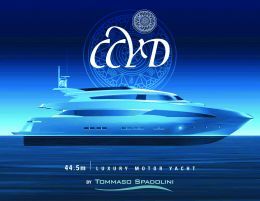 An identity which for CCYD is therefore firmly linked to the superyacht world, to that "luxury cruising" way of interpreting the boat. In Italy it was truly a precursor in this field, especially with regard to large sailboats. 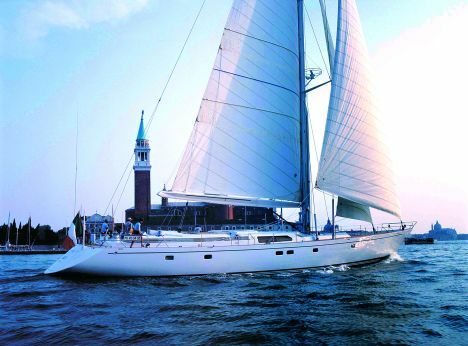 Trintella still offers sail cruisers of a kind we could call Nordic - spacious, welcoming and able to tackle heavy seas - built mainly in composite but, being custom products in the truest sense of the term, also in metal on request. ML Boatworks is a shipyard in Brazil but also a factory of ideas and hi-tech solutions developed for racing yachts of superior performance and toughness. This results in positive fallout and added value with regard to pleasure craft production. The CCYD Group is another great crucible of ideas which draws the world's best technicians and foremost designers, creating projects which may be innovative or classic in form, sail or motor, but which all share technical choices and production aspects of absolute quality, where design-related care is taken to the utmost individual details. At this point we feel it would be interesting to mention something about the history of the CCYD yard from which this important group originated. Interesting for various reasons but above all because the story began with the passion of company founder Franco Padoan. 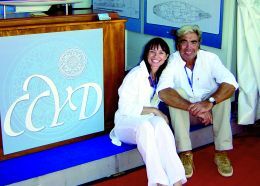 A passion which has come down to us through his daughter Cristina and her husband Sergio Moroni who have absorbed the essence of the founder's initiative and continue to offer exclusive boats bearing the CCYD brand name. The yard was originally based in Venice, Italy, and immediately gave proof of its ability to build made to measure yachts for very demanding owners. Not for nothing do CCYD's most exclusive customers, to which the yard has given concrete "seafaring" responses, include HRH Prince Rainier of Monaco, HM Prince of Saudi Arabia, Dennis Conner of America's Cup Stars and Stripes fame and other personages who not only have the money for such yachts but also a high level of nautical culture. 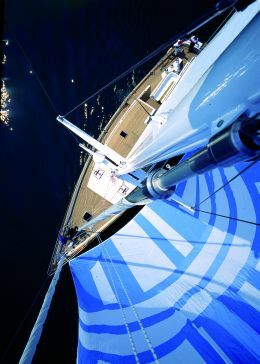 The yard has always worked with the world's best designers, such as for example Ron Holland, Andrew Winch, Tommaso Spadolini, Bruce Farr and German Frers to name only a few. 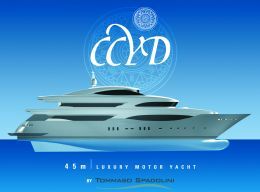 As things stand today CCYD has accumulated a very high level of experience which, thanks to a richly gifted international team constantly committed to research and development in terms of avant-garde solutions, means that it can produce luxury yachts in which technical and aesthetic quality is always top level. 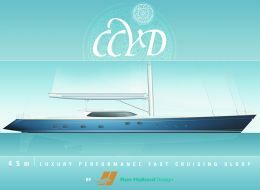 Just as the founder did right from the start, CCYD today continues to build yachts for particularly demanding owners. Unique vessels that can be developed internally in accordance with points defined by the owner at time of order, be they personal requirements or, as in some cases, plain and simple habits. Current new projects in the sail and motor sectors include two 45 metre yachts: a sloop designed by Ron Holland and a cruiser motoryacht designed by Tommaso Spadolini. But another very interesting aspect is the creation of the three sailboat lines Premier, Classic and Sport which CCYD is proposing in the 62 to 120 foot range. With the establishment of the CCYD Group and the consequent purchase of Trintella Yachts and a share in ML Boatworks, we're now looking at a very high level niche Group that stands out for its diversified offer and the high specialisation that each yard can guarantee in terms of product typology. 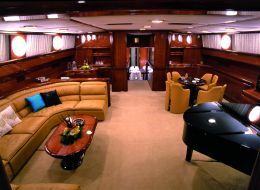 Anyone seeking a yacht made to measure in accordance with his own requirements or - why not? - his own concept of the ideal boat will find that the Group's response is in line with his expectations, whether we are dealing with a motor superyacht, a sailing cabin cruiser, a maxi cruise sailboat, a pure racer or, following the present trend, a cruiser/racer.